Did Nikola Tesla and Aleister Crowley ever meet? CDComics the Sheffield UK based digital comic publisher would certainly like us to think so. 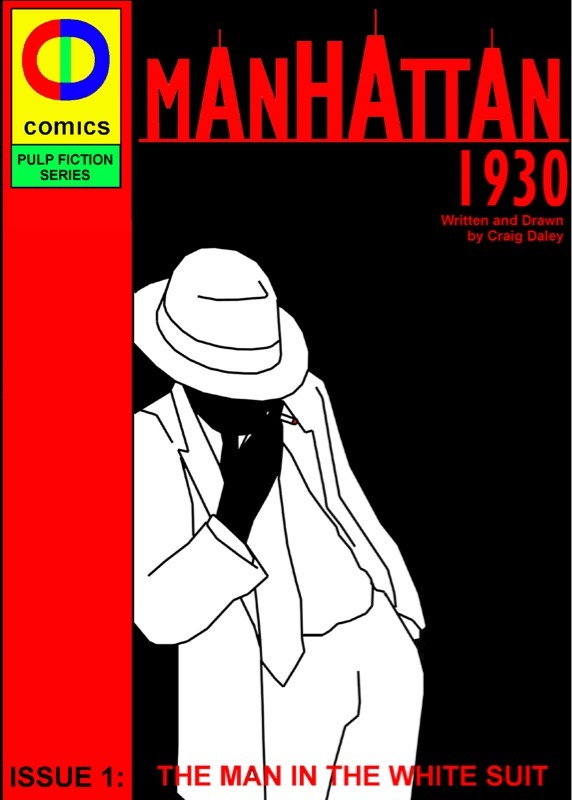 The first issue of CDComics Pulp Fiction Series that’s titled Empire State, follows the exploits of a Harlem PI, who relocates to Midtown Manhattan to work alongside a new partner, ‘Pilot Ace’ and is priced at $0.99/70p UK. There is a mix of prototype Nazis, Ninjas, femme fatales and various masked characters with a range of powers, but what really sets this narrative apart and shifts the comic into steampunk and cthulhu territory is the inclusion of two real life characters from the period. 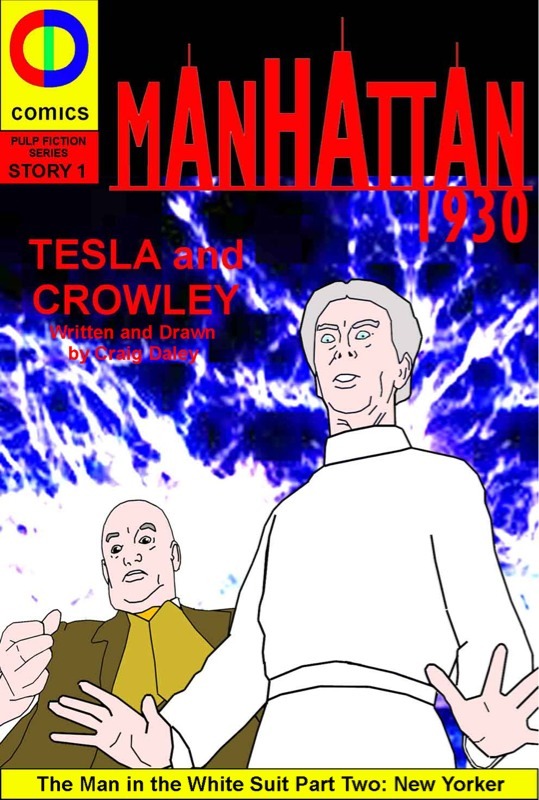 Tesla, the famed Fortean Scientist who was living in the New Yorker hotel in the 1930’s and has been linked with various scientific breakthroughs, including particle beam weapons, teleportation and time travel. Plus Crowley, ‘The Beast’ an English occultist who was known as the ‘Wickedest Man in the World’ and visited America in 1930. Song, the Man in the White Suit and Secret, his empathic masked secretary immediately find themselves investigating the murder of Song’s new partner and the Man in the White Suit soon realises he has bitten off far more than he can chew. This is hard bolied PI meets Lovecraft with a sprinkling of steampunk science and moves at a pace that leaves you ready for issue two ‘New Yorker’ and the final comic in this first story arch ‘Harlem’.